Srinagar, February 26: The Border Security Force (BSF) on Monday early morning foiled an infiltration bid along the international border (IB) at Samba district in Jammu and Kashmir. Meanwhile, Pakistani forces also resorted to unprovoked firing to make infiltration bid successful. 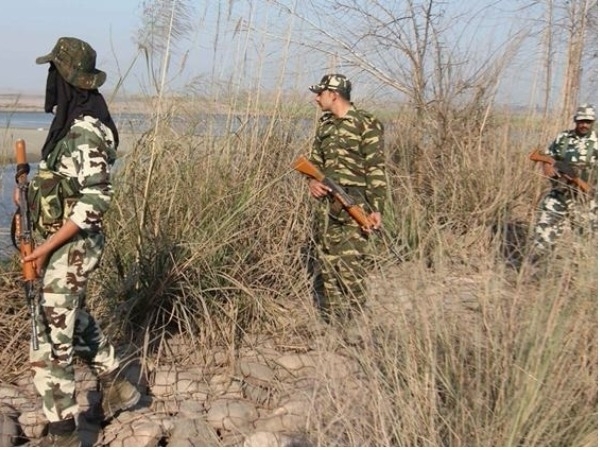 A senior BSF official said, “BSF has foiled an infiltration attempt by a group of terrorists along the international border in Ramgarh sector around 5 am on Monday.” Suspicious movements by a group of five to six terrorists were noticed along LoC in Mendhar sector of Poonch during the night," the officer added. Meanwhile, two unidentified terrorists hurled a grenade at a police station in Pulwama district in which one policeman was injured while a former Hizbul terrorist Mushtaq Ahmad Chopan was killed. Earlier on Saturday, two policemen were martyred in two separate attacks. Importantly, twenty people including 11 security personnel and nine civilians were killed and over 75 others injured in Pakistani shelling along the LoC and the International Border (IB) in Jammu division since the beginning of this year. Interestingly, as many as 515 infiltration cases from across the border in Jammu and Kashmir were reported in the year 2017 in which 75 terrorists were killed.